The Invenio UL 2P Tent from Vaude is a tent with a view! Ultra-lightweight 3-season tent for mountaineers and trekkers, with side panorama doors; fast and easy to pitch thanks to the classic Mark construction. 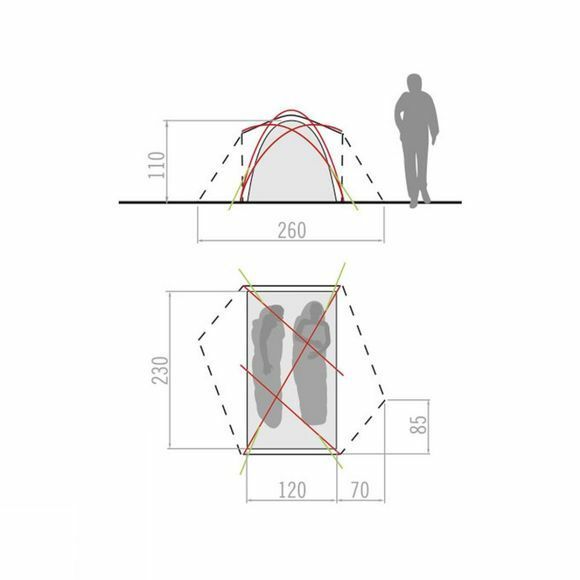 The specialized tent construction creates a comfortable amount of space: the large inner tent is tall enough to sit up in and features wide opening doors for an unobstructed view and easy access to your gear. 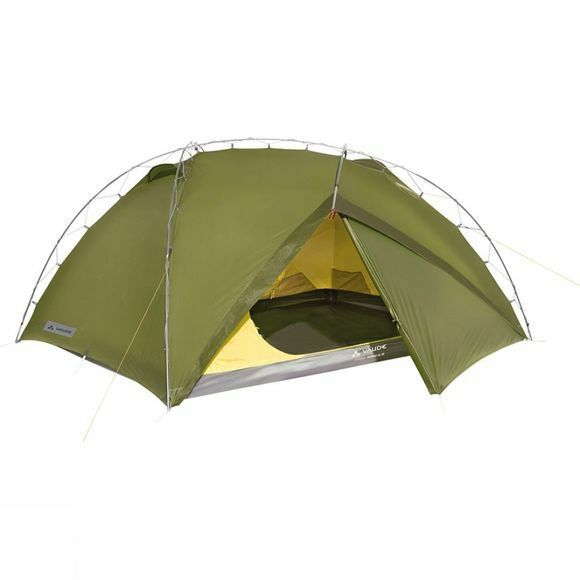 This tent features excellent wind stability and has space for 2 people including gear thanks to the two vestibules which create significantly more space. Two covered ventilation openings ensure a pleasant microclimate even with the tent doors closed.